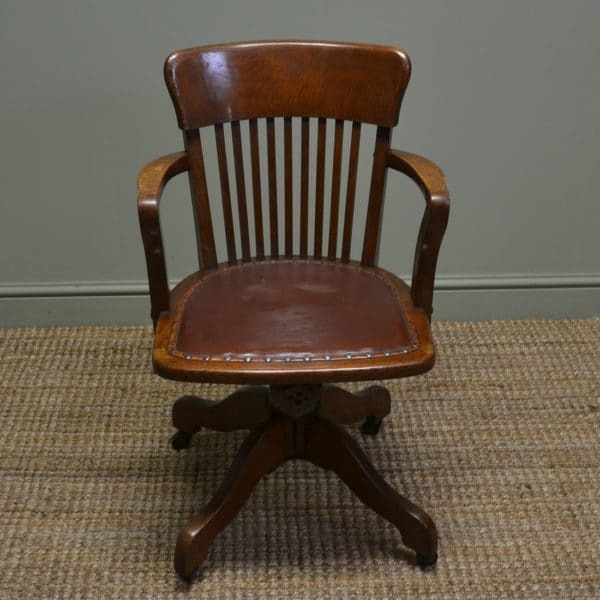 Dating from Around 1900 In the Edwardian Period, This Quality Swivel Office Chair has a beautifully carved back with out-swept arms and the original old wonderfully worn faux leather seat with matching stud trim. Dating from Around 1900 In the Edwardian Period, This Quality Swivel Office Chair has a beautifully carved back with out-swept arms and the original old wonderfully worn faux leather seat with matching stud trim. 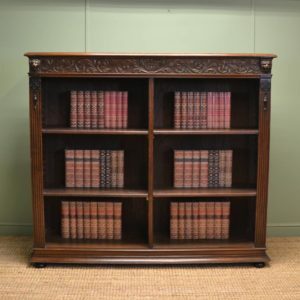 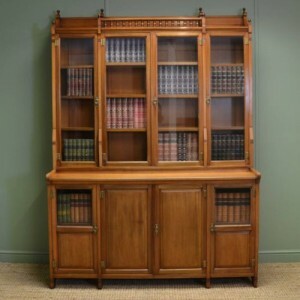 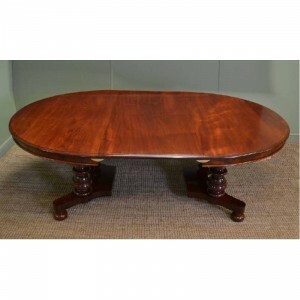 It has four splayed legs with castors, would compliment most desks beautifully and the oak has aged to a warm shade with a striking grain, good patina, is in very good condition and has been beautifully cleaned using a traditional form of wax finishing. 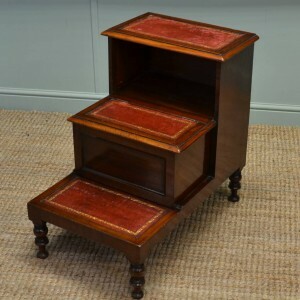 Victorian Mahogany Antique Bed Steps / Library Steps.